we do not allow smoking in any of our caravans. 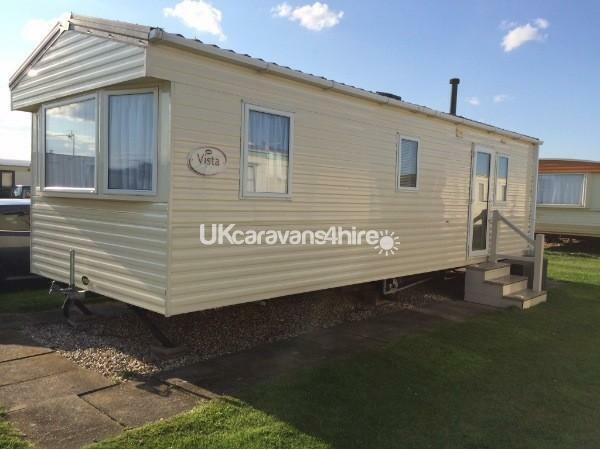 This 5 berth caravan on Happy Days Holiday Homes is a lovely place for a caravan holiday. It's well looked after and we provide you with all the essentials you need for a comfortable stay. 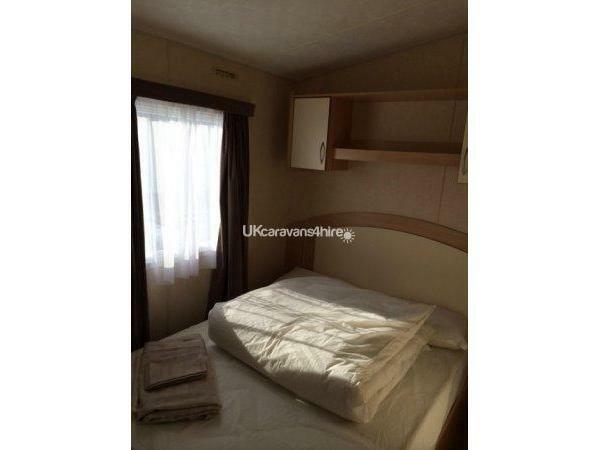 The main bedroom comes with under bed storage with room for your bags and also where you will find accessories such as the ironing board, Hoover and sofa bed mattress. The double wardrobe has plenty of space too. 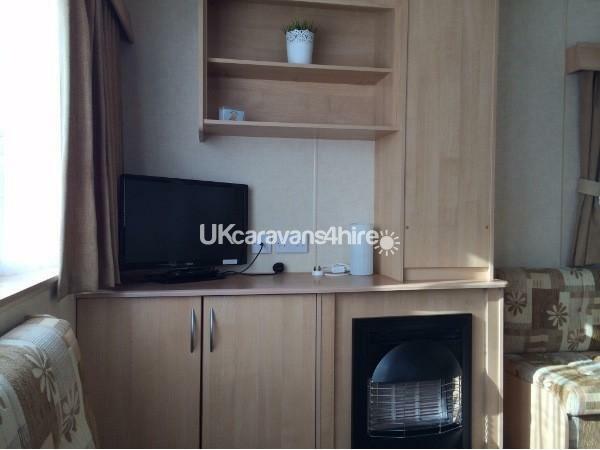 The twin room is comfortable and again has good storage space in the wardrobe with space underneath the beds too. The shower room comes with a heated towel rail. The sofa bed is suitable for small children only. 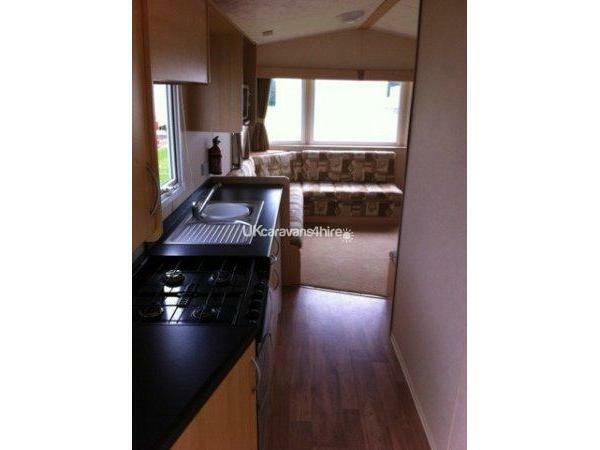 A galley kitchen with all accessories including cooker and 4 ring hob,fridge freezer and microwave leads to the sitting room with a seating area and a separate dining area with a dining table. A TV and free-view box are provided for your entertainment. . 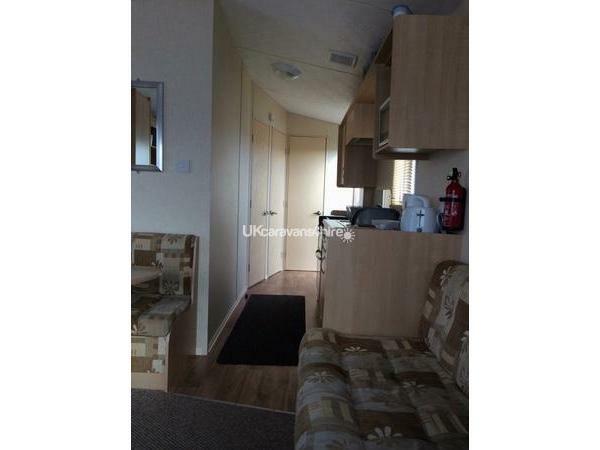 This caravan is Well maintained and well kept Parking at the side of the caravan is available. 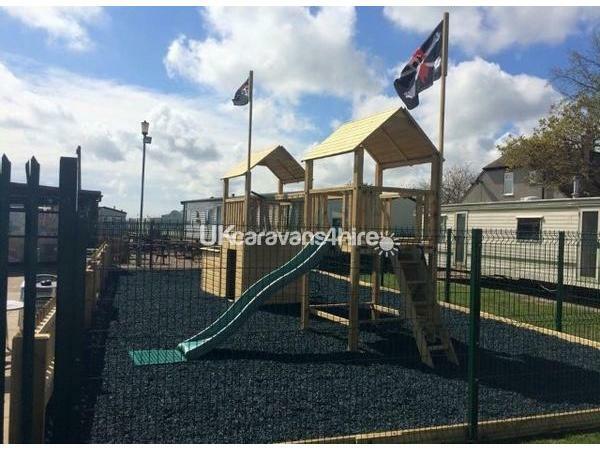 Happy Days Holiday Homes is a family orientated holiday park with plenty of on and off site facilities. This includes a family friendly pub and separate club with entertainment throughout the season in both venues. 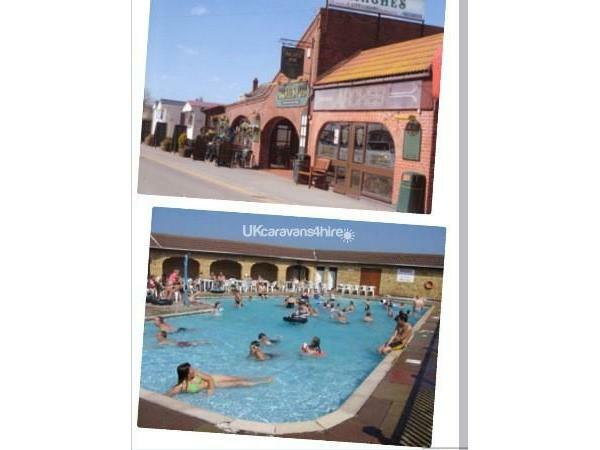 Out door heated swimming pool- laundrette- sues restaurant - archers pub -offering SKY TV / BT SPORTS AND FREE WI-FI-amusement arcade and soft play area. Ingoldmells is a short distance away - 5 minutes by car or a nice beach stroll away. Skegness is also within reach via car or the public transport- bus stops within a couple of minutes from the main entrance. Arches pub has been extended to include a live entertainment room with patio doors leading onto the beer garden and children's play area. Please contact me for further details - we are here to provide you with a 1st class hassle free holiday. Once again a beautiful stay. The owners go out of their way to ensure you have an amazing holiday. Communication is really good. 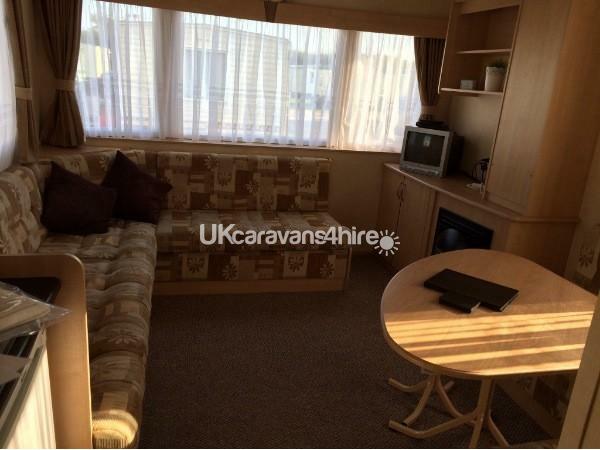 The Caravan was clean and well maintained. Looking forward to another holiday with them again.